How Can We Control Stress? Even with all the technology we’ve built aimed at making our lives easier, stress in the modern world is often all-consuming. We’re in a never-ending juggling act with work, our families, our social lives, our aspirations— and most of us feel we’re continually dropping at least one ball. This stress can impact multiple areas of our lives from our health to our happiness. We’d love to help, that’s why we’ve created this page to address some of your questions about stress and share the best ways to manage your stress. While many people view stress as an isolated issue, unmitigated stress often leads to a long list of other problems. If you’re someone who constantly battles with anxiety, there’s a high chance you’re damaging your physical and mental health. Evidence suggests that stress creates cardiovascular problems, high blood pressure, and depression. While stress may seem unproblematic at first, prolonged stress may impact your ability to live a healthy life. This is why it’s essential that you understand the benefits of managing your stress levels. What is the Best Way to Manage Stress? The best way to manage stress will depend on your personal preferences. While there are various forms of medicine that can help you reduce stress and its effects, many are prescription only, so you’ll need to consult your care provider. In light of this, you might give natural methods a try first. There are many steps you can take to reduce your stress level for free and without medications. How Can I Reduce Stress Naturally? Controlling stress through natural methods is actually very useful for many people. If you’re suffering from large amounts of stress, a good first step is to cut caffeine, alcohol, and nicotine – as hard as this may sound. Next, you should increase your activity level whether via exercise or recreational activities such as hiking. If you’re someone who doesn’t get enough rest, improving your sleep schedule can also reduce stress. This is especially true if you currently have an irregular sleep schedule. How Do You Manage Stress at Work? If you’re stressed at work, it’s essential to approach the situation comprehensively and return to an emotional state that benefits your productivity. First, you should ensure you are managing your time correctly and avoid distractions or stressors in your environment. Next, you should schedule breaks or other relaxation times that allow you to unwind throughout the day. Last, you should also speak with your boss or supervisor about developing a strategy to manage your workload and reduce your stress. Managing stress at work also includes some of the previously mentioned natural stress control methods. If you’re not getting enough sleep or exercise, this may be a catalyst for stress at work. What are Some Stress Management Techniques? 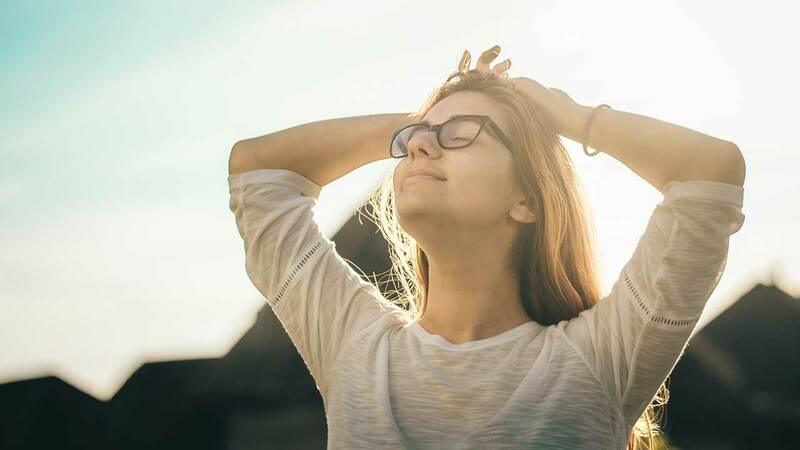 Aside from the previously mentioned natural stress control methods, there are also some additional techniques that you may find helpful including meditation and yoga. Evidence suggests that meditation can help you better control your thoughts, improve focus, and reduce stress. Yoga incorporates many of the same aspects of meditation, but with an added bonus of mood-boosting exercise. We hope that this guide on controlling stress has helped you in some way—even if small—and remember, you’ve got this!